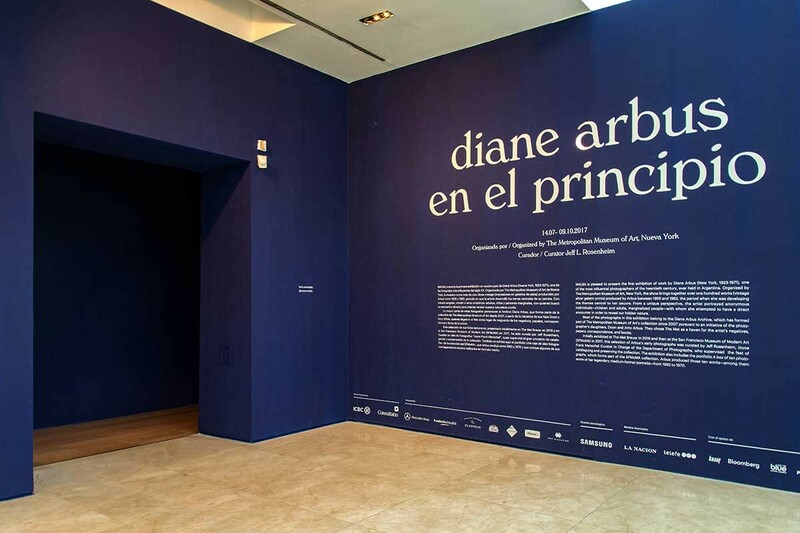 This is the first exhibition of work by Diane Arbus (New York, 1923-1971) to be held in Argentina, will open at MALBA. Curated by Jeff L. Rosenheim, Curator in Charge of the Department of Photographs at The Metropolitan Museum of Art (The Met), this exhibition of one of the most influential photographers of the twentieth century brings together over one hundred photographs produced by the artist between 1956 and 1962, the period when she developed the themes central to her oeuvre and her singular vision, which attempted, as the artist herself put it, to register “divineness in ordinary things.” The exhibition is the first collaboration between The Met and any institution in Argentina. 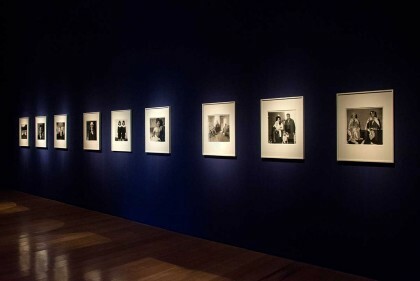 Entitled “In the Beginning,” the show revolves around the first seven years of the artist’s work with her 35mm camera on the streets of New York during which “an evolution took place—from pictures of individuals that sprang out of fortuitous chance encounters to portraits in which the chosen subjects became engaged participants,” explains Rosenheim. “This longing to know, this curiosity about the hidden nature of what she was photographing, coupled with her belief in the power of the camera to make that visible, is, above all, what sets her apart,” he adds. 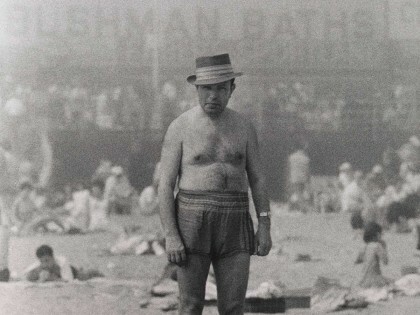 The composition of street portraits like Woman in a mink stole and bow shoes, New York City 1956 and Man in hat, trunks, socks and shoes, Coney Island, N.Y 1960 reflects a new sort of intimacy, as do Jack Dracula in a Bar, New London, Connecticut 1961 and Stripper with bare breasts sitting in her dressing room, Atlantic City, New Jersey 1961. In those last two, focus is placed on the tie between the photographer and the model as chance or secondary details are cast aside. “Behind a circus tent or a stage, or inside a bedroom, Arbus’s role of curious outsider gradually gives way to that of privileged insider,” the curator explains. Most of the photographs in the exhibition form part of The Metropolitan Museum’s Diane Arbus Archive—purchased from the artist’s heirs in 2007—and were, prior to the 2016 show at The Met, never before exhibited; that show was the result of a number of years of work on the archive. 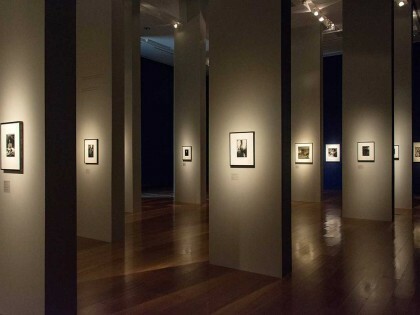 The layout of the MALBA and Met shows is the same. 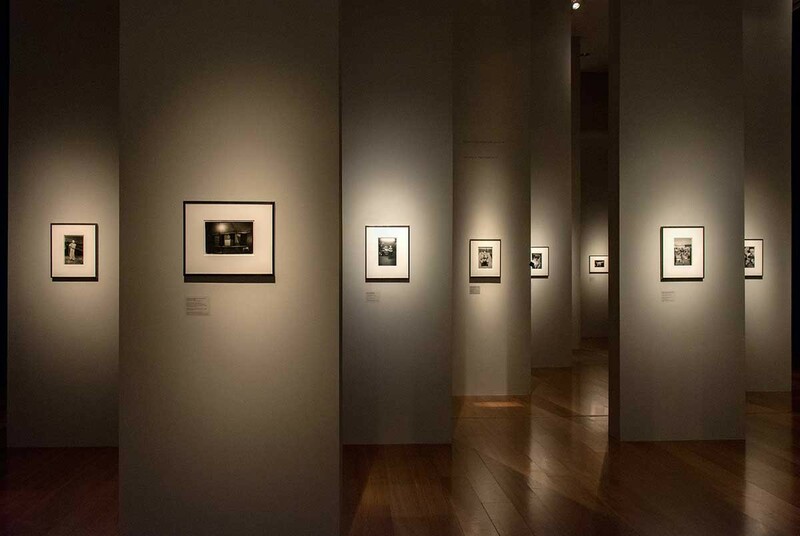 It consists of a chronological exploration of a sort of dimly lit woods in order to invite visitors to delve into the intimacy of Arbus’s art. The exhibition culminates with the portfolio A box of ten photographs—which belongs to the SFMoMA collection—a set that Arbus produced in 1970 and 1971 that includes legendary portraits in square format like her Identical Twins, New Jersey 1967 and A Jewish giant at home with his parents, in the Bronx, N.Y. 1970. 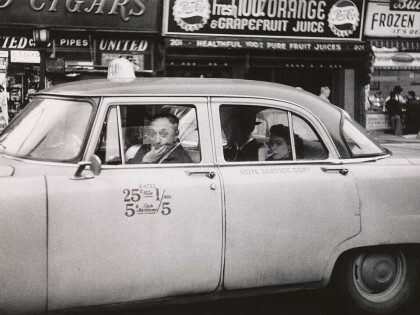 Diane Arbus started taking photographs in the early forties and continued to do so erratically for over a decade. During those years, she worked as an art director for fashion photography shoots for which her husband, Allan Arbus, did the photographs. 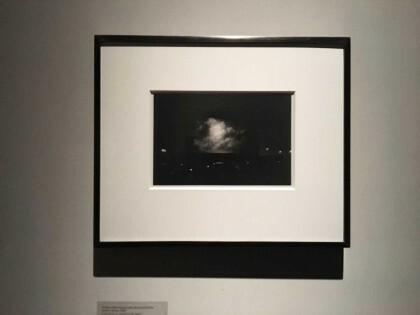 In 1956, she stopped working on commercial photography to delve into her art. 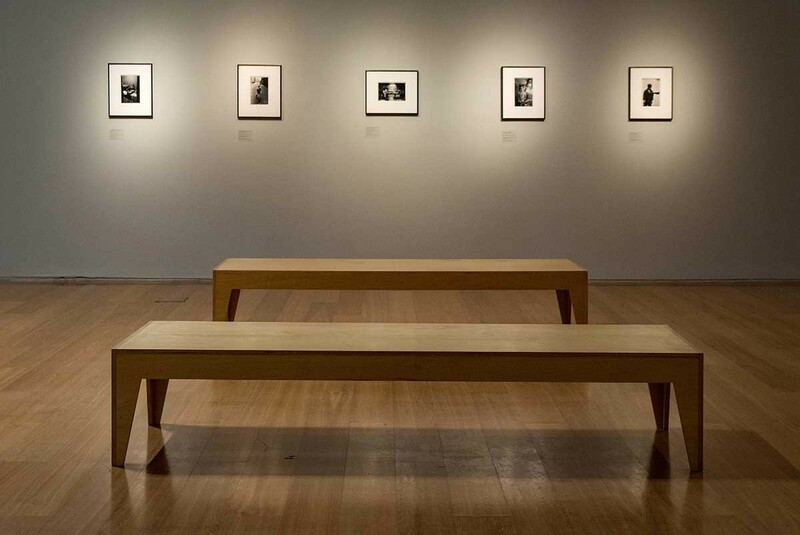 Her two major points of reference in those years were European photographer Lisette Model with whom she studied for a number of months—Model was also her spiritual mentor—and August Sander, a German typological portraitist. Earlier photographers from Paul Strand and Walker Evans to Garry Winogrand and Lee Friedlander had already ventured into the urban space of New York City. 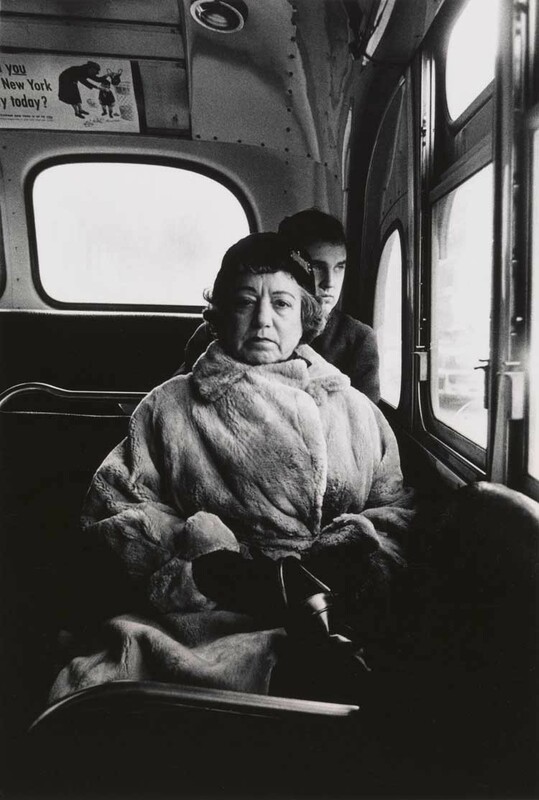 While each of them had a distinct way of working, Arbus stood out because she attempted to make a direct connection with her subjects rather than to go unnoticed. Before taking her photographs, Arbus did exhaustive research, since many of the themes and characters that interested her were not easily stumbled upon in the street. Her method was, in many respects, like that of an urban anthropologist. 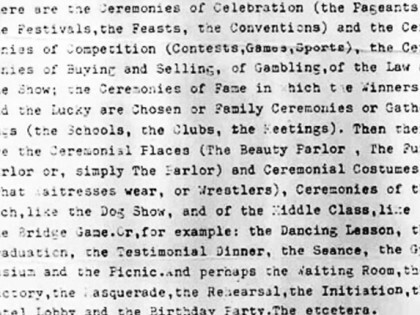 In her notebooks, she would record all of the material she found in books, newspapers, and telephone books, as well as her own ideas and conversations with friends. 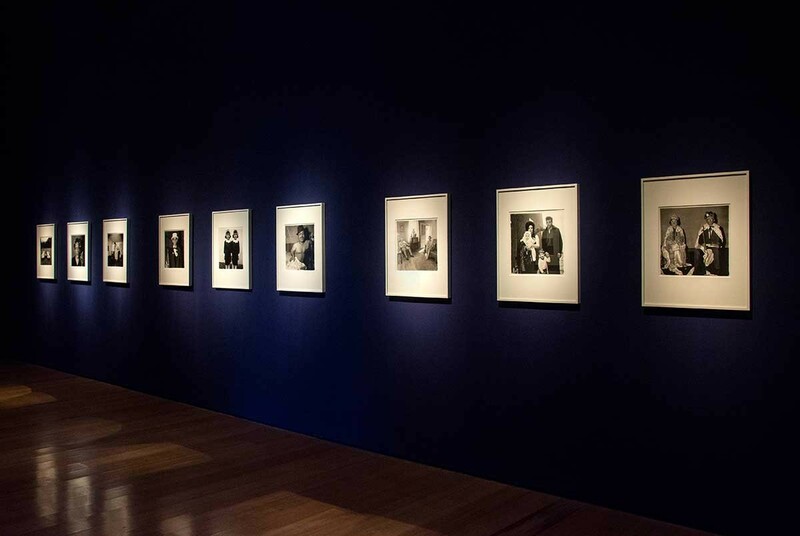 She often listed possible themes or subjects for her photographs. During this early period, Arbus used a variety of 35 mm, reflex, and viewfinder cameras (her own and borrowed from others), including a Contax D, a Nikon S3, and a Nikon F. In 1962, she bought a wide-angle Rolleiflex—a 2 ¼-inch square-format binocular camera—which ushered in a change in her work. In the framework of the exhibition, the catalogue published by The Met will be presented in Argentina. The book contains two essays, "In the beginning" by Jeff L. Rosenheim and "Notes from the archive" by Karan Rinaldo, as well as recent research into the Diane Arbus Archive and reproductions of a wide selection of photographs, negatives, diaries, notes, and correspondence. She was born into a Jewish family who owned a department store on Fifth Avenue in New York City. 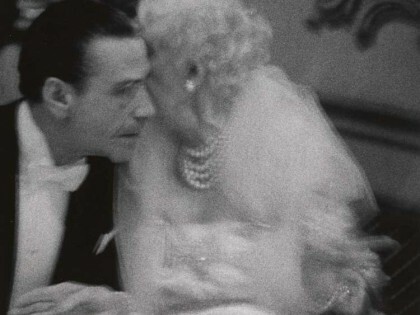 In 1941 at age eighteen, she married Allan Arbus and for a decade the couple worked together producing photographs for magazines: he operated the camera, she styled the images. Although she started making pictures for herself in the early 1940s, it was only in 1956, when she numbered a roll of film #1, that she began seriously pursuing the work for which she has come to be known. Arbus’s first magazine story appeared in Esquire in 1960. During the next decade, while continuously working on her own personal projects, she published more than a hundred photographs in Esquire, Harper’s Bazaar, and other major American magazines. These included portraits and photographic essays, which were occasionally accompanied by her own writing. In 1963 Arbus received the first of her two Guggenheim Fellowships and traveled across the United States photographing the people, places, and events she described as “the considerable ceremonies of our present.” These photographs became the focus of critical and popular attention in 1967 when they were featured with the work of Lee Friedlander and Garry Winogrand in the legendary “New Documents” exhibition at The Museum of Modern Art, New York. 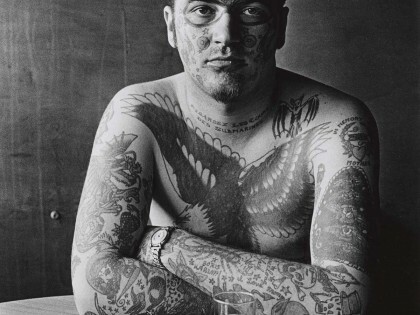 Arbus committed suicide in July 1971, just months after releasing a portfolio of ten prints that was intended to be the first in a series of limited editions of her work. 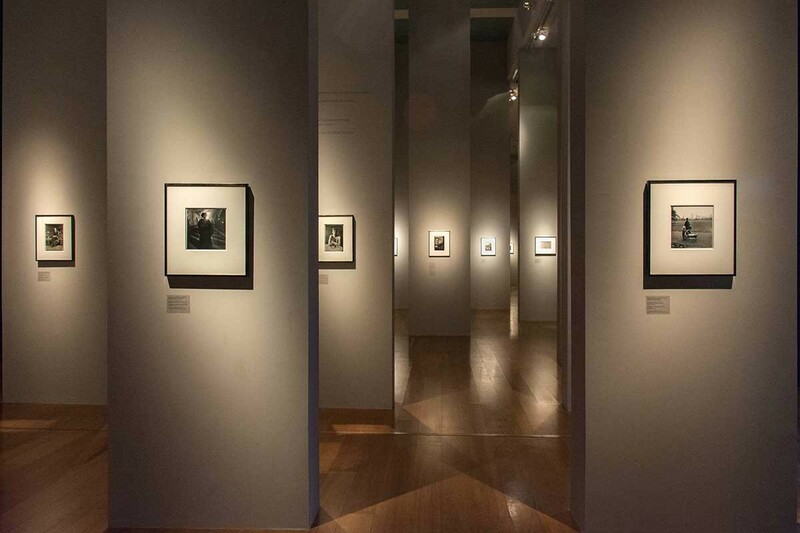 In 1972, she became the first photographer to be included in the American pavilion at the Venice Biennale. 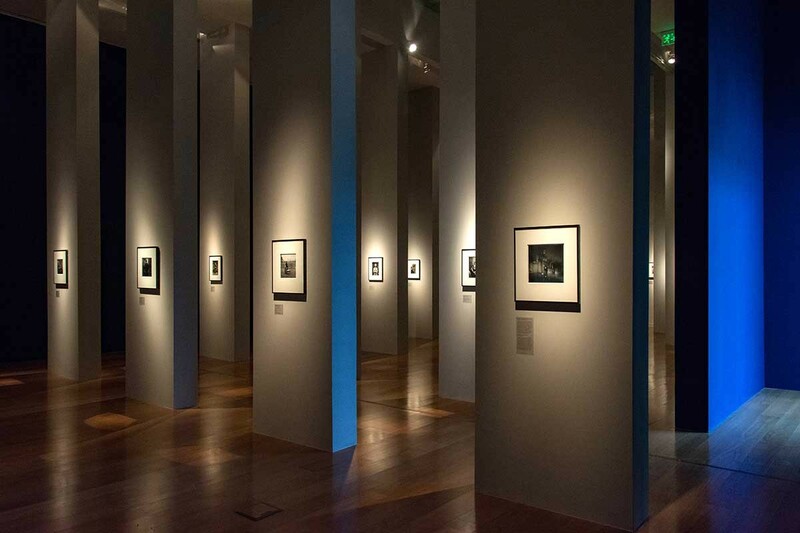 In the same year, The Museum of Modern Art hosted a major exhibition of her photographs that traveled throughout the United States and Canada. The monograph that served as the exhibition catalogue has never been out of print and remains one of the most important and widely distributed photographic books of all time. 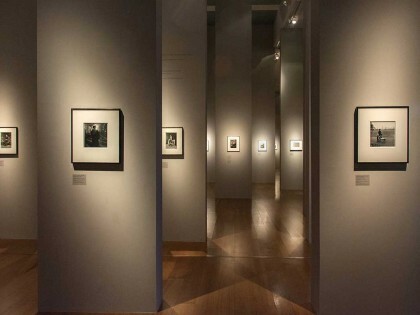 In the 45 years since Diane Arbus’s death, millions of people have been drawn to the many major international museum retrospectives that explore the controversial work of this photographer whose singular vision revolutionized the art she practiced. Curator in Charge of the Photographs Department, The Metropolitan Museum (New York). The author of ten books on Walker Evans, Rosenheim is the steward of the Walker Evans Archive, which the Metropolitan acquired in 1994. 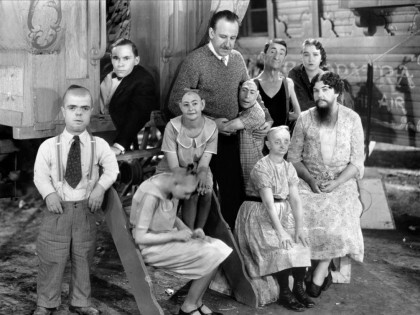 He is also the custodian of the Diane Arbus Archive. 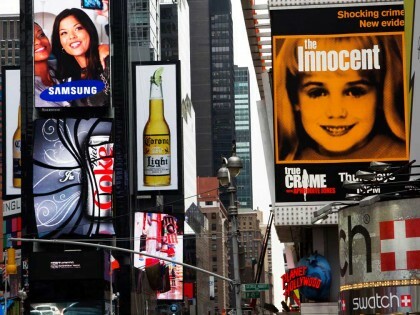 Rosenheim has a BA in American studies from Yale University, and an MFA in photography from Tulane University. He has lectured extensively, curated numerous exhibitions, such as Photography and the American Civil War (2013), and published essays on a wide range of artists including Carleton Watkins, Thomas Eakins, Walker Evans, Helen Levitt, Robert Frank, Diane Arbus, Lee Friedlander, William Eggleston, and Stephen Shore. 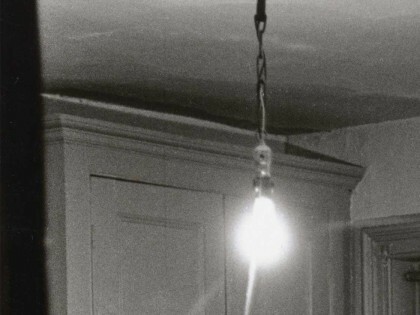 and detail of The Backwards Man in his hotel room, N.Y.C. 1961. 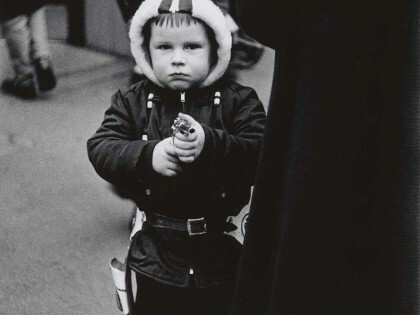 © The Estate of Diane Arbus, LLC.